Its smells like fruit beer with a touch of bitterness. If you sniff directly from the bottle you might even faint if you also hate beer smell like I do. Right after I came home, I used this at night because what if I use in morning and the smell is there when I am in office??? Sighhh. But luckily the smell does not last. I got it checked thrice before leaving for office the next day but I know the smell was gone in less than a hour. 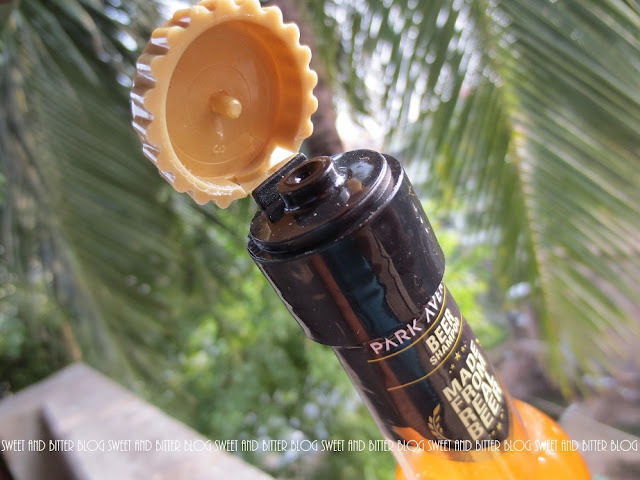 Its comes in small beer bottle shaped plastic bottle. The cap is flip top but has a additional nozzle under it. Something to give extra protection but the flip top is not very strong. Surely it will spill if you use for travelling. An additional zip bag for this one please. I am using it for a week and loving it. 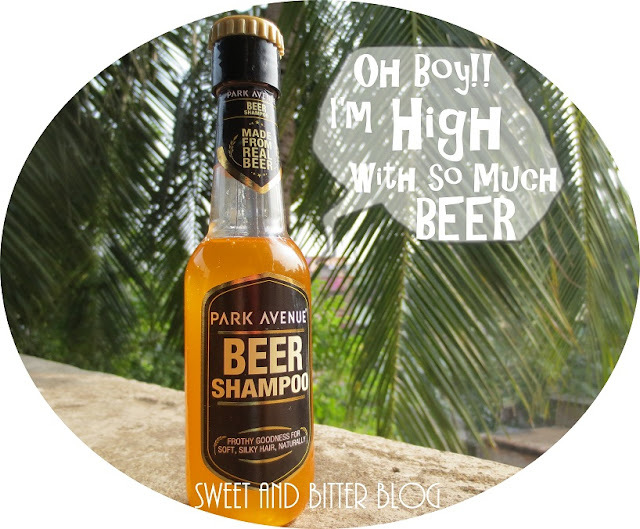 The lather is soft, cleans my hair without stripping it and the beer smell is not for long. Every time I even think of using anything with silicone I always go back to my trusted SLS free Body Shop Rainforest but this time, I didn't missed it much. There is one time where this one caused me issue. Yesterday, I went over board with this, used too much and had frizzy/dry hair. Note to self - never do that again. I didn't used any conditioner after this and I was good to go. A very little amount of this is required. Another tip if you only use the silicone shampoos - dissolve a teaspoon of this a cup of water and then use it on dry hair. You will be able to lather better that way. I really liked it. If you are on a tight budget, out of shampoo and can get only try one new thing this month then buy this shampoo. Its totally worth it. beer is used for oily hair. I do not think so dear. I have dry hair and beer and this shampoo worked great. Dry hair is dry because it has damaged cuticles. Beer has protein which fill up the spaces. So, it also helps in treating dry irritated itchy scalp. For Oily Hair, it has to be mixed with apple cider vinegar or lemon to increase the acidity and make sure the hair does not become flat. Thanks! I have dry hair too and had the same doubts. I saw the bottle at a local store last week. Gonna buy it now! This one luks so so gud yaar..havent seen it anywhere though..where did you get it from ?? I got it from a local store in Kolkata. The ones which sells all kinda cosmetics/skincare/makeup..
Woow gonna try this soon!! 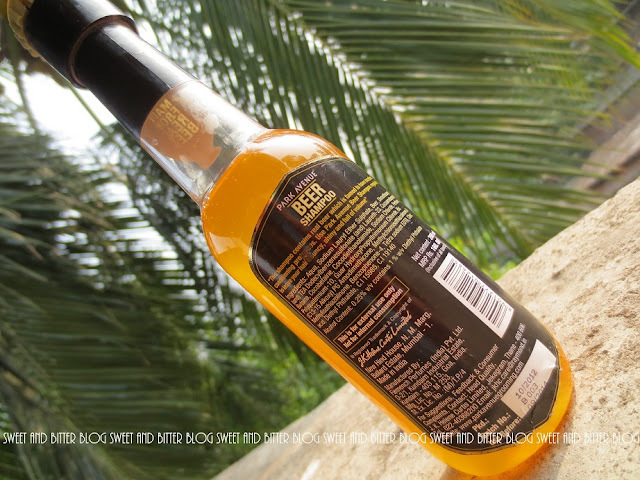 I have used this when I was in school...my parents got this from the Army Canteen...its really good, makes hair soft and shiny....I loved it....pls could you tell from where did you buy it? It brought back an old memory? Wow I want to use this too! Heard a lot about beer's effects on hair.. will definitely check this out next time! i saw this in south city mall spencer's too..after reading the review will get it definitely now. I am surely trying this ! I have used this when i was in school.Guees they have relaunched it in a better packaging. The old one used to dry out my hair like crazy. Oh wow! this is really cool! I wonder if i can find it here in Mumbai anywhere. 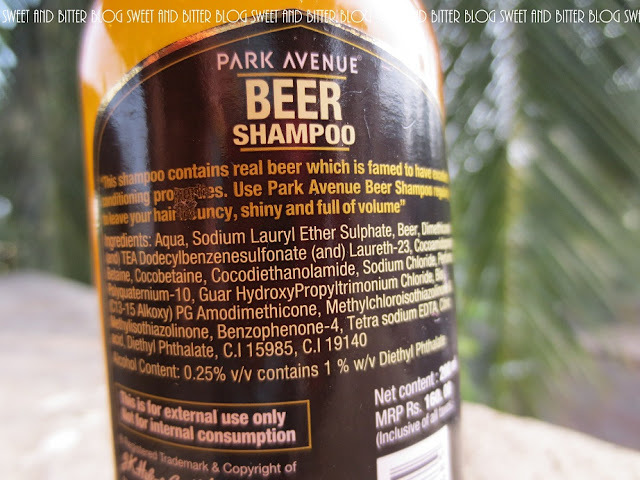 Does it help to voluminize hair like beer does? I have really short wavy hair...I hope this makes my hair more manageable.